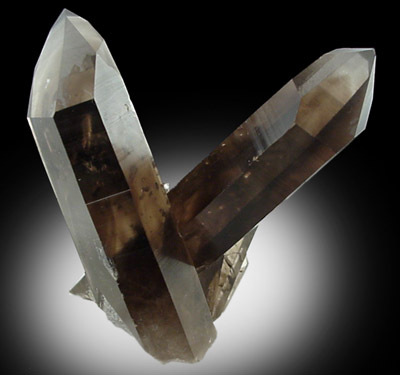 Old specimen of transparent smoky quartz crystals in intersecting formation. The crystals have been beautifully cleaned and are undamaged. A good specimen from the heyday of collecting at this famous locality. Overall size of mineral specimen: 7x6x5 cm. Size of individual crystals: 3.5-8 cm.